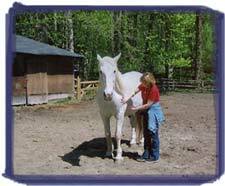 A circle of women and a herd of horses come together for simple truths and moments of peace. We will join together, women and horses, to experience our instinctual nature, intuition and healing gifts and to support each other's heart, spirit and well being. The circle will be open to twelve women and the herd of four horses. 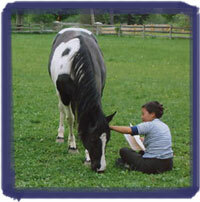 There is no riding it is about relationship with the horses. The majority of the work takes place on the ground. No Horse experience is necessary. Facilitated by Jackie Lowe Stevenson, MSSA LISW and a gentle herd of horses.